Editor's note: Even the New York Times has it right on this one. From the Times' article, "As he developed the topic into his dissertation, Professor Downs recalls sparring with his adviser, Eric Foner, the author of the classic book 'Reconstruction: America's Unfinished Business, 1863-1877.'" And this one, ". . . [P]olicies developed in the post-Civil War South were exported to the Western frontier, with similarly devastating health consequences for American Indians." 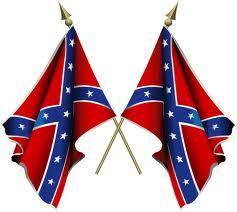 Eric Foner is a Yankee author that perpetuates Yankee myths, and is a member of the Lincoln Cult. All one has to do is compare Foner's book with Downs' book to see the hypocrisy of Foner and most Yankee authors. The end of slavery in the United States led to anarchy and the deaths of hundreds of thousands of black Americans claims a new revisionist history of the Civil War. Instead of a granting former slaves a glorious moment of freedom, President Abraham Lincoln's Emancipation Proclamation condemned millions to a life of disease and hunger says historian Jim Downs in his new book, 'Sick from Freedom'. Scouring through obscure records, Professor Downs has revealed that freed slaves were subject to outbreaks of cholera and smallpox as they attempted to start new lives for themselves and that thousands starved to death. Writing about the period of 1862 to 1870, Professor Downs claims that one million of the four million salves former slaves freed by Lincoln's 1863 executive order died or got sick. This number includes at least 60,000 who lost their lives in a smallpox epidemic that started in Washington and spread to the south as black Americans left their former slave-masters in order to find work. Calling this 'the largest biological crisis of the 19th century', Downs states that this tragedy has failed to be acknowledged because it does not match with the rosy view of the Civil War being a fight between the Unionist North and Confederate South for God-given rights. 'The freed people we want to see are the ones with all their belongings on the wagon, heading towards freedom,' said David W. Blight, a professor of history at Yale to the New York Times. As the anniversary of President Lincoln's order approaches, Mr. Downs, 39, is part of new school of thought re-addressing commonly held beliefs about the history of emancipation. 'We're getting ready to celebrate 150 years of the movement from slavery to freedom,' said Professor Downs to the New York Times. In fact in the years following 1863, the public health problems that freed slaves experienced attempting to set up their own homes, getting jobs and feeding their families seemed so intense that some historical observers wondered whether all black Americans might die. While the accepted view is that the Unionist North was sympathetic to the plight of all southern slaves, Professor Downs feels that there was in fact an element of turning a blind eye to the problems the newly freed people experienced. 'In the 19th century people did not want to talk about it,' said Professor Downs to the Observer. Professor Downs paints a desperate picture of freed families staggering away from southern plantations and finding themselves in Union run 'contraband camps' struggling for food and living in unsanitary conditions. His book points out the irony that these camps were sometimes no better than the freed slaves previous living conditions and that the only way out was to offer to return to the same plantations from which they had escaped. In 'Sick from Freedom' Professor Downs recounts the tragic story of one former slave, Joseph Miller, who arrived at a union camp in Kentucky with his wife and four children in 1864 and watched them all die within months, before he died in 1865. During his research, Professor Downs discovered the horrific conditions within what were essentially refugee camps doted around the south. Not wishing to cast aspersions on the Emancipation Proclamation, for which Professor Downs still holds its true moral value, he nonetheless wants to bring a fuller picture to the public. When Civil War History published a paper this spring raising the conflict’s military death toll to 750,000 from 620,000, that journal’s editors called it one of the most important pieces of scholarship ever to appear in its pages. Digging graves in Fredericksburg, Va., in 1864. A million ex-slaves are said to have become sick or died after 1862. But to Jim Downs, an assistant professor of history at Connecticut College and the author of the new book “Sick From Freedom,” issued last month by Oxford University Press, that accounting of what he calls “the largest biological crisis of the 19th century” does not go nearly far enough. To understand the war’s scale and impact truly, Professor Downs argues, historians have to look beyond military casualties and consider the public health crisis that faced the newly liberated slaves, who sickened and died in huge numbers in the years following Lincoln’s 1863 Emancipation Proclamation. “Sick From Freedom,” at 178 pages (not counting 56 pages of tightly argued footnotes), may seem like a bantamweight in a field crowded with doorstops. But it’s already being greeted as an important challenge to our understanding of an event that scholars and laypeople alike have preferred to see as an uplifting story of newly liberated people vigorously claiming their long-denied rights. Professor Downs, 39, is part of a wave of scholars who are sketching out a new, darker history of emancipation, Professor Blight said, one that recognizes it as a moral watershed while acknowledging its often devastating immediate impact. And the statistics offered in “Sick from Freedom” are certainly sobering, if necessarily tentative. At least one quarter of the four million former slaves got sick or died between 1862 and 1870, Professor Downs writes, including at least 60,000 (the actual number is probably two or three times higher, he argues) who perished in a smallpox epidemic that began in Washington and spread through the South as former slaves traveled in search of work — an epidemic that Professor Downs says he is the first to reconstruct as a national event. Historians of the Civil War have long acknowledged that two-thirds of all military casualties came from disease rather than heroic battle. But they have been more reluctant to dwell on the high number of newly emancipated slaves that fell prey to disease, dismissing earlier accounts as propaganda generated by racist 19th-century doctors and early-20th-century scholars bent on arguing that blacks were biologically inferior and unsuited to full political rights. Instead, historians who came of age during the civil rights movement emphasized ways in which the former slaves asserted their agency, playing as important a role in their own liberation as Lincoln or the Union army. Professor Downs first became interested in the health of newly liberated slaves when he was a graduate student at Columbia University with a job as a research assistant in the papers of Harriet Jacobs, the author of the 1861 autobiography “Incidents in the Life of a Slave Girl” and a vivid chronicler of the often abysmal conditions in the “contraband camps” where escaped slaves congregated during the war and in settlements of freed people more generally after it. The papers were full of heart-wrenching encounters with sick and dying freed people — references that he noticed were strikingly absent in recent scholarship. “He would joke: ‘Look in my index. You don’t even see smallpox,’ ” Professor Downs said. But as he sorted through the little-explored records of the medical division of the Freedmen’s Bureau and other archives, he found reams of statistical and anecdotal accounts of sick and dying freed people, whose suffering was seen by even some sympathetic Northern reformers as evidence that the race was doomed to extinction. Professor Downs also found a medical system that was less concerned with healing the sick than with separating out healthy workers who could be sent back to the fields, and then closing the hospitals as quickly as possible. 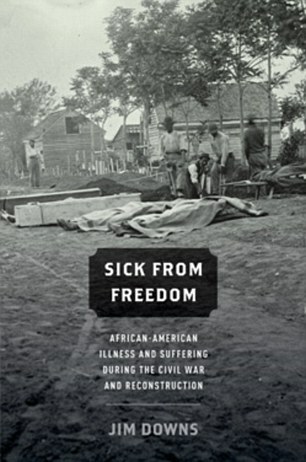 In an e-mail Professor Foner praised “Sick From Freedom” as offering “a highly original perspective” that “deserves wide attention.” And Professor Downs makes no bones about wanting to place health issues at the center of multiple scholarly conversations about the war and its aftermath. Professor Downs also sees parallels with the current health care debate. “Freed slaves,” he writes in the book, were “the first advocates of federal health care” — a statement that could be read from the left as an example of early black political activism, or from the right as an instance of newly liberated people immediately asking for a government handout. That second reading was one he initially worried about, Professor Downs said. But he ultimately just let the historical chips fall where they may.